Richard was born and grew up in El Reno, Oklahoma, and represents the third generation in his family to practice law here. A graduate of El Reno High School, he earned his B.A. from Oklahoma University and his J.D. from the Oklahoma University School of Law. A former Army intelligence officer (Captain, US Army Intel, 4th Div., Pleiku, Vietman), Richard earned an Army Commendation Medal and a Vietnam Campaign Medal before returning home to enter the family law practice. Oklahoma’s 1971 Outstanding Young Lawyer, Richard is a former Oklahoma State Bar Examiner and chair of the Board of Bar Examiners, prior President of the Canadian County Bar Association, and also previously a temporary Judge of the Oklahoma Supreme Court Division 88 Court of Appeals. He is a founding member of the International Society of Primerus Law Firms, a member of its Board of Directors, and chairman of the Accreditation Committee. Richard is admitted to practice in the State of Oklahoma, the Western District Court of Oklahoma, the Tenth Circuit Court of Appeals, U.S. Tax Court, the U.S. Court of Appeals, and the U.S. Supreme Court. He currently serves as Trial Counsel for the Oklahoma Department of Transportation, and has served as Counsel for El Reno Public Schools and Park View Hospital. In August of 2015, Richard Fogg received his 50-year pin from the Oklahoma Bar Association to commemorate his 50 years of devotion and dedication to the legal profession. 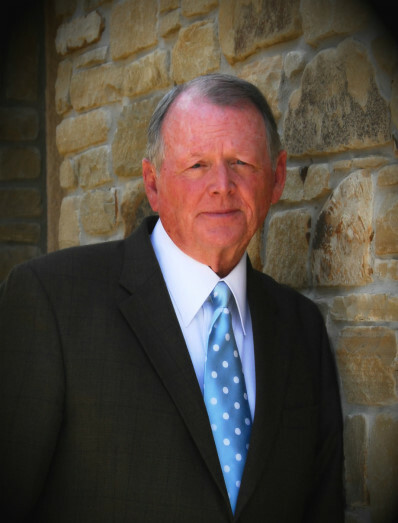 An experienced lecturer and motivational speaker, Richard is active in El Reno’s First Christian Church as an elder and 4X chairman of the church board, and has been involved with the American Legion, the Veterans of Foreign Wars and the B.P.O.E. He has also been an El Reno City Councilman, President of the El Reno Chamber of Commerce, CEO of Pinnacle Promotions, and chairman of the Board of Regents at Redlands Community College. Richard’s personal hobbies consist of photography, woodworking, and playing golf. His passion for taking pictures has opened many opportunities for him to instruct others, and his work has been shown in many art’s festivals, earning him Best of Show awards. Richard is also the staff photographer for the El Reno Living Magazine, an Oklahoma Art’s Institute Member, chairman for the Carnegie Library and a fundraiser for El Reno War Memorial projects. Richard enjoys spending time with his wife, Lynda, and being a General Contractor for the many construction projects they work on together, both personally and for the community. Richard Fogg has great passion for his community, and truly has a heart for helping each and every one of his clients through the legal process, whether it involves preparing a tailored estate plan, or intense litigation.